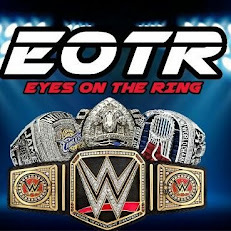 Let me start off first by saying one thing: I'm not a fan of this rematch nor am I a big fan of either wrestler. However, I still consider myself a wrestling fan and there's no bigger event during the summer than Summerslam so it's all relative. 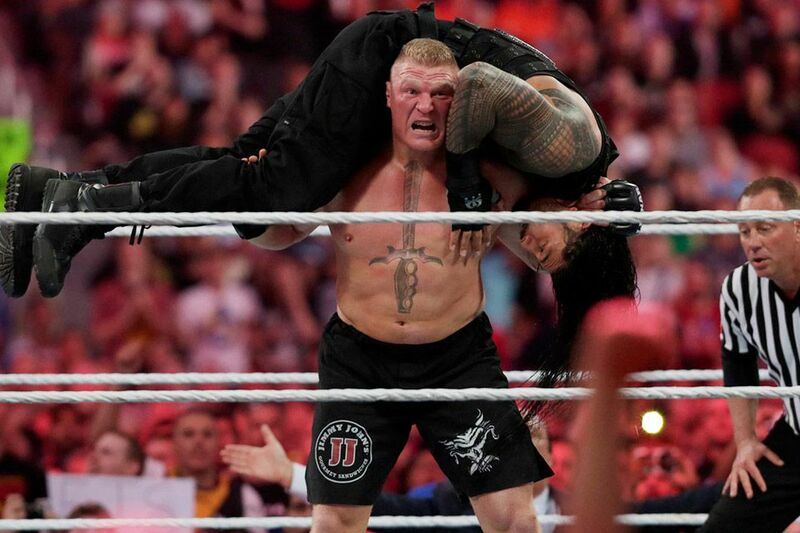 The question that seems to be on everyone's mind is should Roman Reigns be the man to challenge Brock at Summerslam after the WWE seemed hellbent on forcing this match yet again at Wrestlemania? Yes. Yes he should. The reason why? 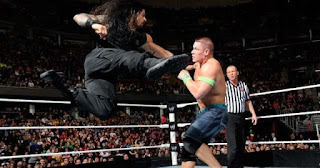 There's a much bigger match in John Cena vs Roman Reigns that could rock the New Orleans area for Wrestlemania 34 and engage more viewers. 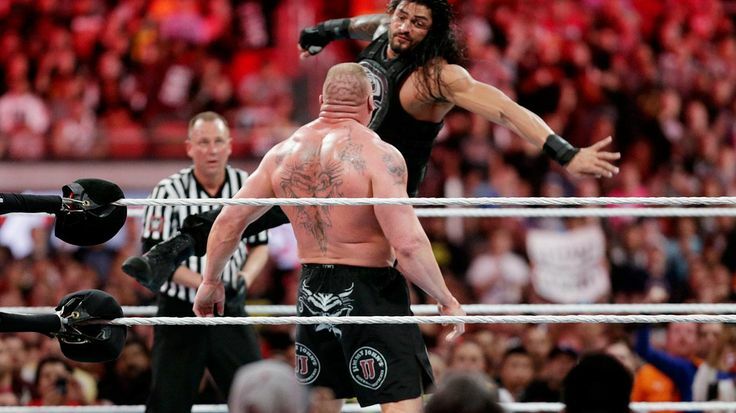 We've already seen Brock vs Reigns at Mania just two and a half years ago, and Brock has gotten lazier since that time, and Reigns hasn't got much more popularity. Now, this isn't like a huge clash of titans where their popularity rivals each other and the feud is fresh and new to us. We've seen this movie before. Paul Heyman comes out, puts over Reigns as a worthy opponent, Brock and Reigns have a face off and promo back and forth, then we head to Brooklyn for their title match. 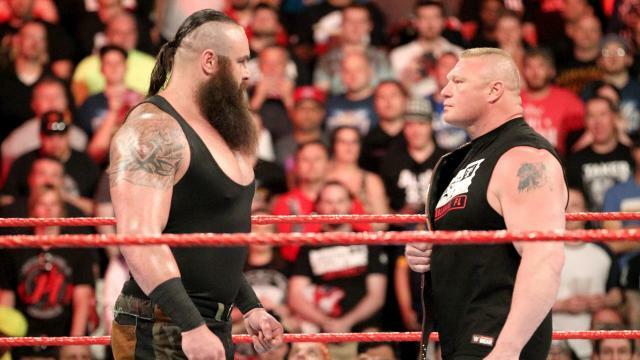 I get that the WWE will market this as the battle between two men who both defeated The Undertaker at Wrestlemania, but those accomplishments seem so miniscule now when we look at them. 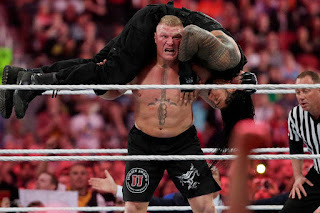 The match with Reigns and Taker, as well as the match with Brock and Taker are both forgettable, making their amazing feats just seem standard. Reigns and Brock could have ended up on a different path, but if I'm WWE, I have my mind set on two goals going into Wrestlemania 34: saving Braun vs Brock for Mania, and pushing Reigns vs Cena. 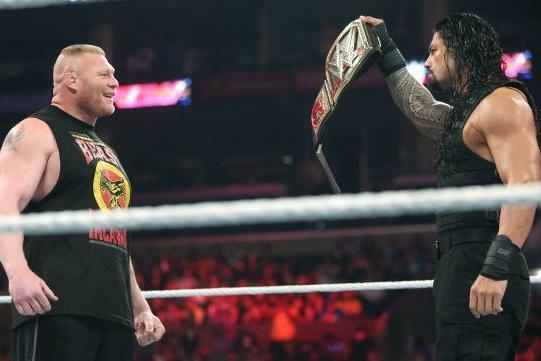 I think if the plan is to allow Brock to hold the belt until Mania, there's no need to give Reigns another Mania title match and main event. It's been overdone the last three years and each time, the audience seems to be out of it. It was sad watching the crowd seem disinterested for a 3rd straight Mania main event, even against a legend like The Undertaker. For me, the smartest choice here is to have Roman fight Brock at Summerslam, and allow Braun or another nemesis to cost him the title, setting up a future title shot for said nemesis, and setting up a feud between Reigns and the culprit going forward. Personally, if I'm the WWE, I'm turning Finn Balor heel at the end of the Summer, putting him with Gallows and Anderson, and allowing him to dethrone Brock for the title heading into Mania season. Why Finn? I think the rematch we need to see is Seth vs Finn while both are 100% healthy and for the Universal Title, as Seth's long journey is capped off by a title win at Mania, three years after his huge MITB cash in. Brock holding the title for a year does nothing good for the company, and a heel Finn with Gallows and Anderson spells a huge fall Shield reunion that ends up with the final chapter being Seth vs Finn for the title at WM34. 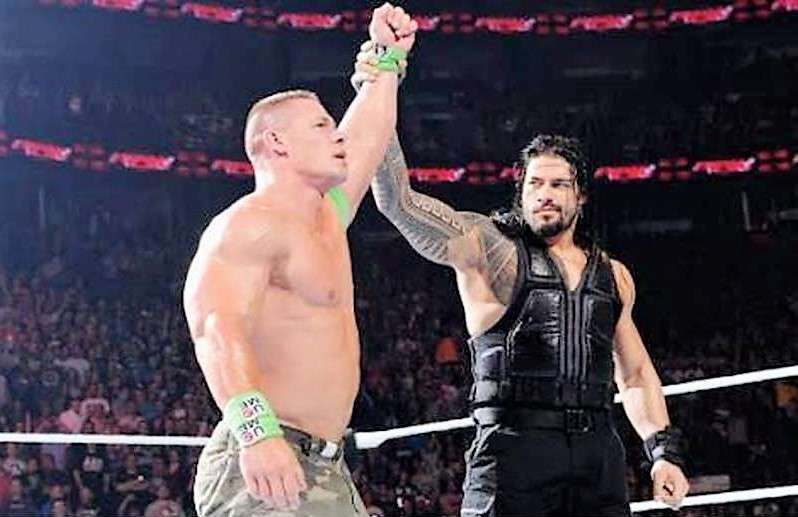 After the short-lived Shield reunion, I'd expect to see Reigns go after the free agent Cena, who is the only active legend that Reigns hasn't beat yet. 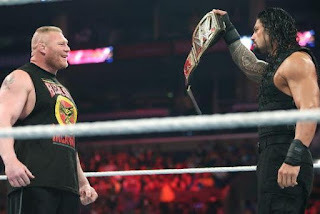 While I'd never want to see Reigns win another Mania match, the vibe for the crowd during a Cena vs Reigns match is much more epic than a Brock vs Reigns match for a title we rather neither man hold. The thing is, the Shield Reunion, a heel Finn Balor, an epic Seth vs Finn title match, as well as a possible Brock vs Braun battle and Reigns vs Cena can't happen at Wrestlemania unless we get Brock vs Reigns now, at Summerslam. 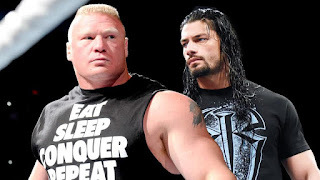 For the WWE, take the smart bet here and pull the trigger on Reigns vs Brock now, and watch how the domino effect can work in your favor.